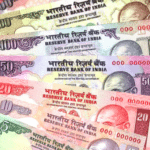 The world of banking is changing rapidly. The banks that continue to operate much as they have in the past will slowly fade away. The firms that are open to change and innovation, have been presented with a unique opportunity to revolutionize the world of finance. 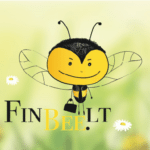 No longer are stolid banks the gatekeepers of all things finance. Technology is changing all of this and no place faster than in the United Kingdom. While the US has stumbled a bit in reducing regulatory friction for the entrepreneurs that see opportunity, the UK has taken a different approach – allowing financial firms to grow first with a regulatory regime only recently applied. Madiston LendLoanInvest (MLLI) is one of these firms that looked around the corner, saw compelling opportunity and shouldered the risk to achieve their goals. Founded by CEO Tim Simon, who started his career at IBM and has a lengthy background in fintech, he previously founded a company Consultants (Computer & Financial) Limited that ended up being listed on the London Stock Exchange. 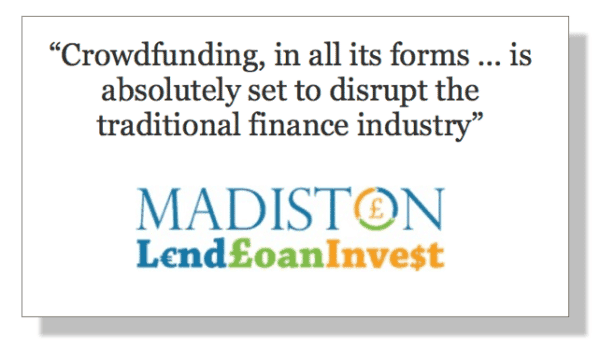 Simon went on to found Mondas IT which listed on AIM and then Madiston plc – part of the genesis of LendLoanInvest. Simon first came across the P2P lending space when he was researching music crowdfunding for his son’s band. Seeing the potential of alternative finance, he researched the market and concluded it would revolutionize the financial service industry. 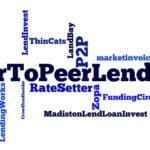 He set about specifying a system that would enable Madiston to launch its own P2P lending business but also be totally configurable as a stand-alone commercial software solution. 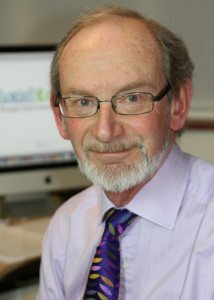 Simon has put together a highly capable team of executives to aid in his firm’s growth including Professor Brian Scott-Quinn, who recently published a book on Commercial and Investment Banking, Sally Johnson who worked at Mondas IT, and Mark Crocker who is responsible for MLLI’s crowdfunding software. With the recent acceptance of P2P assets into ISAs – consumer understanding and interest in this new asset class is growing. The firms that are there early – and doing it right – stand to make extraordinary gains. 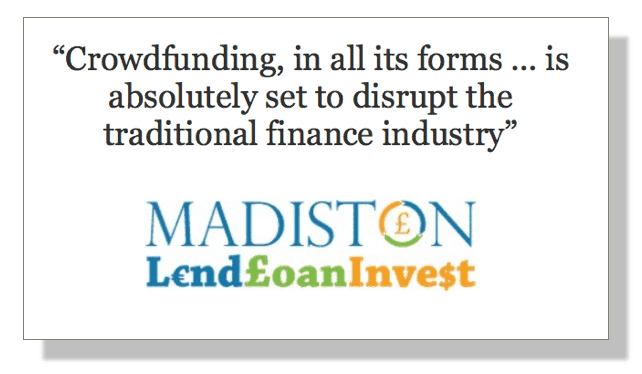 Recently Crowdfund Insider caught up with Tim Simon to capture some insight into the future of Madiston LendLoanInvest. Insider: Now that the FCA regulations on crowdfunding, including P2P are in place how do they impact your company? Tim Simon: We set out to make Madiston LendLoanInvest (MLLI) a fair and secure platform for P2P lending. 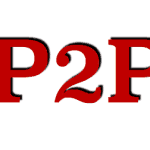 From the outset we wanted to show that we had the checks and balances needed to run a safe platform, so we joined the Peer to Peer Finance Association (P2PFA), while planning our launch. The P2PFA was set up by the market leaders in the UK to establish high standards for the industry and the membership rules mirrored those that were expected to be included in the FCA regulation. Essentially this meant that we were ready for the FCA regulation so it has had nothing but a positive impact on us, adding credibility to the industry. Membership of the P2PFA means we continue to be active in the regulation, innovation and development of this exciting industry. The FCA considered including P2P Lending in the FSCS but decided it wasn’t justified at this time. There is, of course, a heavy cost associated with the FSCS. The FCA has stated that they will keep this under review. MLLI operates a compensation scheme though, to help protect lenders against late loan repayments and defaults. The regulation does require that clients’ money is kept segregated from the company’s own funds which MLLI has always done. This is covered by FSCS. MLLI also passes on the interest earned in that bank account to the lenders, so that helps too. The FCA did look at this but has concluded that P2P Lending is in the lower risk category and therefore should be available to all types of savers, whether they have £10 to invest or £millions. This was an important conclusion to enable us to address the whole market. MLLI is a highly automated system, capturing information at every point and providing audit trails, which means that reporting requirements should not be an onerous task. The FCA has imposed a finance resource requirement which means providers have to hold a minimum of £20,000 or a percentage of their loan book for larger firms, so they can withstand any future financial shocks. The FCA also determined that firms must have arrangements in place to ensure that loans continue to be administered if the firm running the platform goes out of business. This contingency plan was already a requirement of P2PFA members like us. 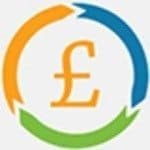 Crowdfund Insider: What is the overall impact on the P2P industry in light of these new regulations? Tim Simon: Protecting lenders and borrowers is a primary aim for all parties: the FCA, the P2PFA and P2P platform providers. FCA regulation benefits us all, protecting us from new entrants wishing to ride a growing market without putting the necessary checks and technology in place. 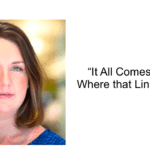 Trust and credibility are key to growth in this young market. 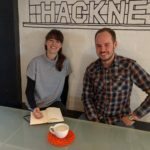 Crowdfund Insider: I have seen the NESTA numbers and some industry participants believe they are too low for P2P. 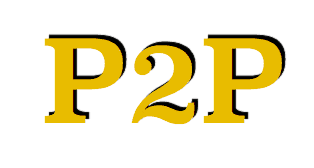 How big do you think P2P will be in the UK? 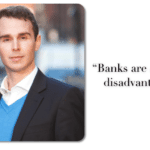 What will be the impact with the inclusion of P2P loans within ISAs? Tim Simon: Analysts at Liberum forecast it could jump in size to £45 billion ($74 billion) within a decade, from less than £1 billion now as a result of the boost from the announcement of inclusion of P2P loans within ISAs. 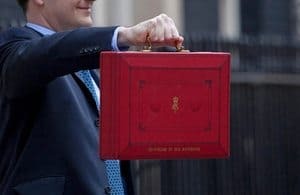 Only a couple of months ago, analysts from PwC asserted that only 15% of savers knew about P2P lending in the UK, George Osborne has now thrust it firmly into the limelight. It is a monumental point in the development of the industry. Crowdfund Insider: What are your thoughts on the entire investment crowdfunding industry? Tim Simon: There are many forms of investment crowdfunding available now, covering the entire risk spectrum from seed equity investments for start-ups, unsecured and secured lending to established businesses, funding debentures in wind farms, invoice factoring, receivables funding through to P2P lending. All are fundamentally offering their customers the benefit of disintermediation – the removal of intermediaries – thereby lowering the costs of providing the service to both parties. The traditional providers will need to take note! 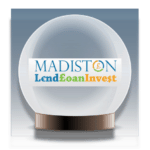 Crowdfund Insider: How do you see the future growth of Madiston LLI? Tim Simon: We believe that we are in a unique position with our own highly flexible system to take on new opportunities that arise in P2P lending. Each one could be a major growth opportunity. In pensions for example, we’ve seen major changes announced in the recent UK Budget which cuts out the requirement to buy an annuity. 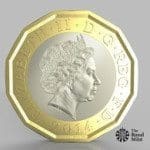 We believe there will be room for more change later: P2P lending as an investment option in SIPPS and SSASs adding greater value to pensions and savings. We are keeping our eye on these and other areas, but in the meantime are looking to grow our core P2P lending business in the UK. Crowdfund Insider: Do you intend on expanding Madiston LLI outside of the UK? Other countries in Europe? The US? Initially, MLLI will be for UK residents only but will be rolled out later into other markets and overseas, subject to regulatory issues and approval. 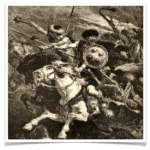 Crowdfund Insider: How disruptive is crowdfunding to the traditional finance industry? The unit cost of processing a transaction through the banking system is the same today as it was in 1900 (according to Liberum again). There have been no economies of scale. The UK is dominated by five major banks who are not lending. The most widely used automated payment system in the UK today is BACS which is 30 years old. The FCA are calling for improved IT across the banking sector because the outdated technology is not resistant to cyber-crime. This scenario does not encourage competition and is very costly to the economy. All this must change and crowdfunding, in all its forms, both as a concept and as a technology, is absolutely set to disrupt the traditional finance industry. We are at the pivot point for change and the next few years will be an exciting time. RateSetter Vision: Create an open market and ensure everyone is treated the same. 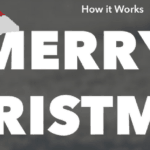 This entry was posted in Featured Headlines, Global, Investment Platforms and Marketplaces and tagged brian scott quinn, lenloaninvest, madiston lendloaninvest, mark crocker, mlli, p2p, peer to peer, sally johnson, tim simon, uk, united kingdom. Bookmark the permalink.